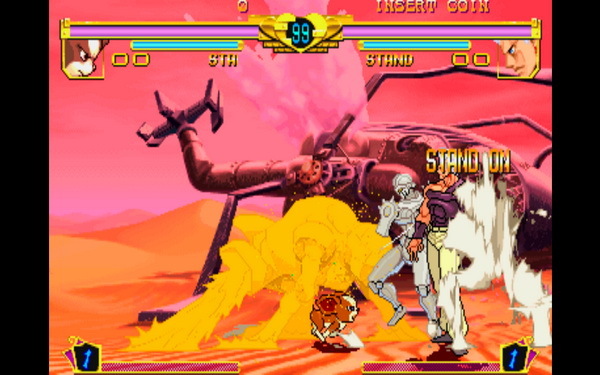 OverviewThe update to JoJo's Venture, JoJo's Bizarre Adventure is a 2D fighting game based off of the hit Japanese manga series of the same name (famous for over-the-top violence, an intricate plot, and numerous Western rock music references). 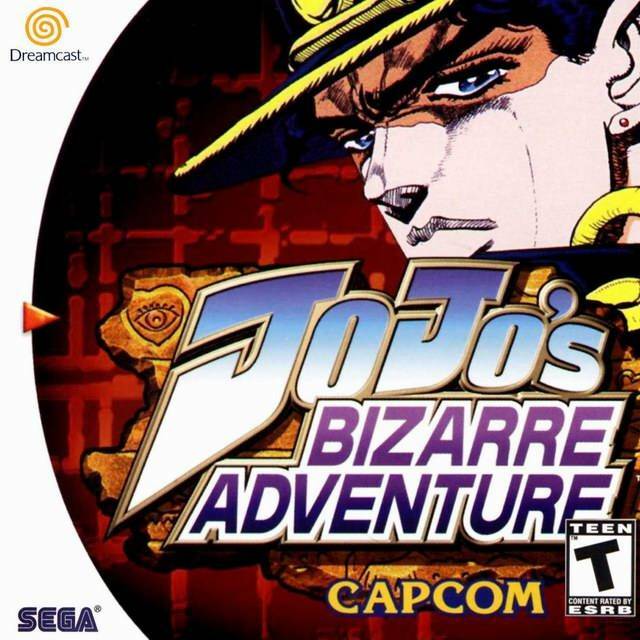 Capcom feels comfortable with the 2D fighting genre and Jojo's Bizarre Adventure is another good example of a great port of their arcade games for a Sega Dreamcast that easily became the paradise for the fans of the genre. 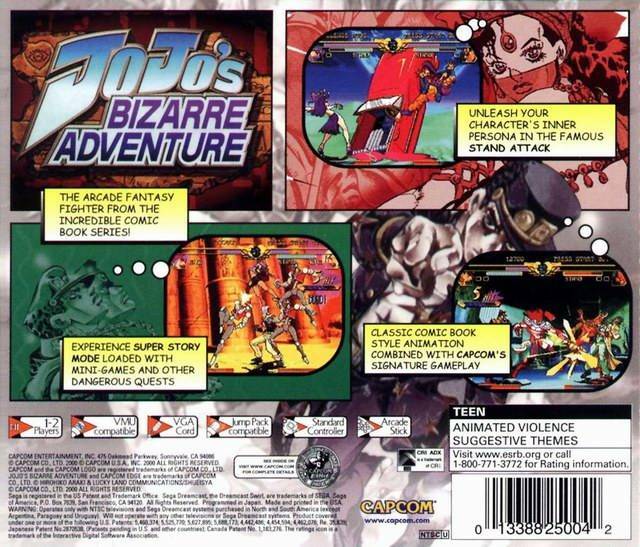 Based on the original manga Jojo's BZ includes more than 20 characters in all and introduces the stand system, a psychic alter ego that can be easily activated to perform new attacks and special moves. 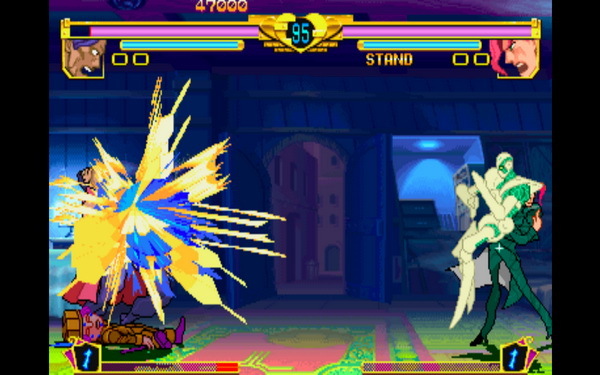 Don't miss it if you like 2D fighting games. Now you can add videos, screenshots, or other images (cover scans, disc scans, etc.) 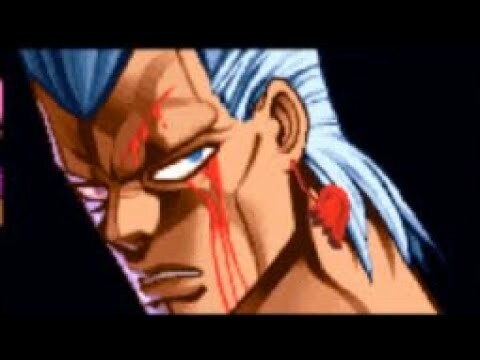 for JoJo's Bizarre Adventure (USA) to Emuparadise. Do it now! CDI files will work with emulators and a real Dreamcast console. GDI files can only be used with emulators. These custom covers have been specially designed for you by MLSchleps. Download and print them for FREE!